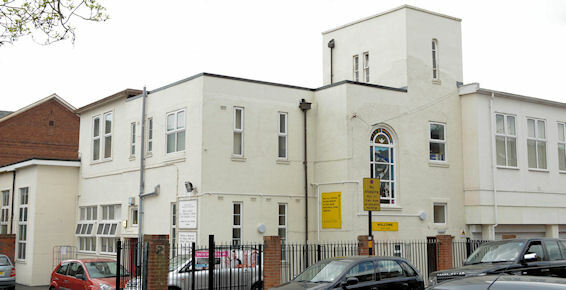 Holy Family Catholic School is situated to the South of Birmingham City Centre. The school is located next to Holy Family Catholic Church in Oldknow Road which is just off the main Coventry Road (A45) near Heybarnes Island . We are on the 60 bus route and within walking distance of Small Heath Train Station. We are a Catholic school serving the diverse community of Small Heath since 1904. The children who attend our school come from the immediate community and beyond. Gospel values are at the heart of our school but we celebrate diversity with many of our children coming from many different backgrounds and faiths. We are a one form entry school with around 250 pupils on role. The majority of our children speak English as an additional language but progress well throughout the school. Parents provide wonderful support, working in partnership with school to create a learning team around each child. We are all very proud of our school and look forward to welcoming you and your children. As God's family we work together as brothers and sisters in a safe, happy and compassionate environment. We take pride in everything we do ensuring that our children are motivated to achieve and be the very best they can be. Built on the foundation of Christ and through teaching of Gospel values, we develop the whole child in a setting which has an understanding and appreciation of all faiths. Inspired by Pope Francis we endeavour to 'light a fire in the hearts' of our children, empowering them to make a real difference in our diverse, ever changing society.